Valletta Cruise Port has welcomed MSC Bellissima (see also CruiseMapper), the 16th ship to join MSC Cruises’ global fleet. 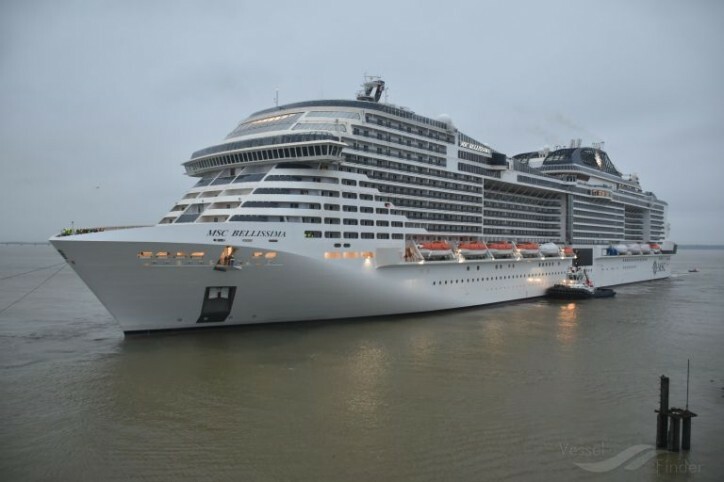 The ship, which entered into service earlier in the month, marks a key milestone in the MSC Cruises’ strategy and is the first of two MSC cruise ships which are set to come into service in 2019. Following arrival into Valletta’s Grand Harbour the ship and its guests and crew were welcomed ashore to the lively tunes of a traditional village band featuring a number of local favourites, along with international pieces. A ceremony was held aboard the stunning 5,686-guest ship in the presence of the Honourable Prime Minister Joseph Muscat, Honourable members of the Cabinet of Malta, local authorities, as well as business and industry leaders. Prime Minister Joseph Muscat highlighted the significant collaboration between Malta and MSC. “I am proud, but not surprised, to see us collaborating with a company featuring another magnificent ship with such diverse, international and advanced technological features”. 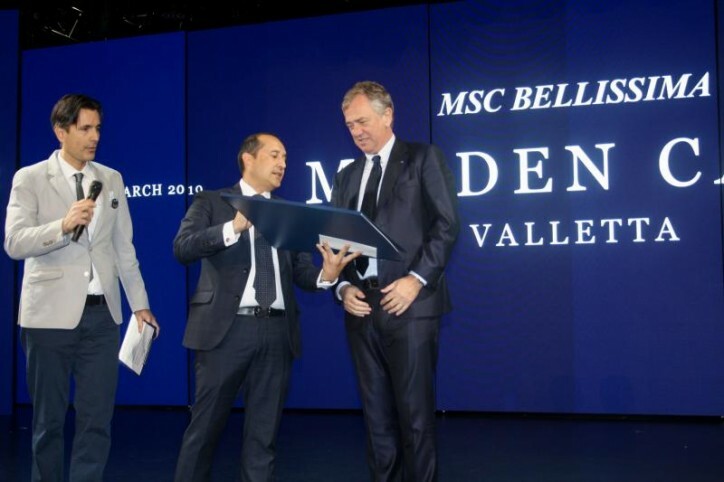 Pierfrancesco Vago, MSC Cruises Executive Chairman added that, "Malta has always been important to MSC Cruises and our partnership started many years ago. Since our first ships first called here in the late 1990’s, Valletta has prominently figured on our Mediterranean itineraries, all year round. Last year alone our cruise ships made 75 calls to Malta, bringing over 300,000 of our passengers to the Maltese shores, helping to generate a meaningful benefit for the local economy. Today, MSC Bellissima is our fourth cruise ship to have Valletta as her port of registry, and our newest ships all proudly fly the Maltese flag around the world”. “We are proud to welcome MSC Bellissima on her maiden call to Valletta Cruise Port, and to be welcoming her on 33 other occasions in our scenic historic port, throughout her inaugural season in the Mediterranean this summer. Valletta has positioned itself on the cruise map through close collaboration with all key players, and a drive for excellence. On behalf of both Valletta Cruise Port and Global Ports Holding, we congratulate MSC Cruises on their achievements and look forward to many more years of fruitful joint cooperation and partnerships”, commented Valletta Cruise Port’s CEO and Global Ports Holding COO, Stephen Xuereb.